Welcome to a unique experience for both you and your child. At Miniversity, we understand the busy lifestyles we as parents lead and that time spent with our children is precious. We cater for up to 60 children per day, with early childhood and diploma qualified teachers employed to provide the very best in early childcare education and quality childcare for your young children. Miniversity is embracing Australia’s first national Early Years Learning Framework. ” Fundamental to the Framework is a view of children’s lives as characterised by belonging, being and becoming. From before birth children are connected to family, community, culture and place. Their earliest development and learning takes place through these relationships, particularly within families, who are children’s first and most influential educators. As children participate in everyday life, they develop interests and construct their own identities and understandings of the world. “Our goal at Miniversity is for all children to explore the world, realise their personal best and give them a sense of belonging to live in a global society. 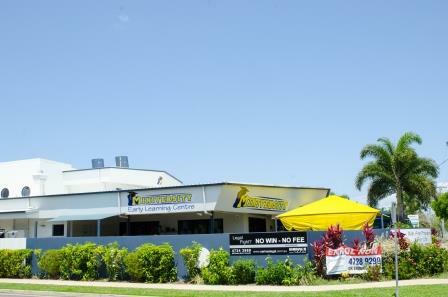 “Belonging is central to being and becoming in that it shapes who children are and who they can become.” We offer a learning program where your child’s educational journey begins with us in our purpose built centre which features secure pin code access and security cameras throughout, the first of its kind in Townsville. 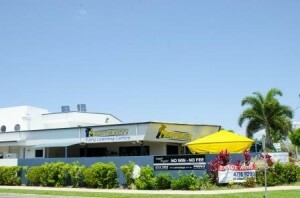 On the 8th of January 2014, The Queensland Government Department of Training, Education & Employment awarded Miniversity the rating: Exceeding National Quality Standards. Our team have achieved this through their love of working with children and their families. We are so proud of their continued efforts to ensure we provide the very best service for the children in our care.